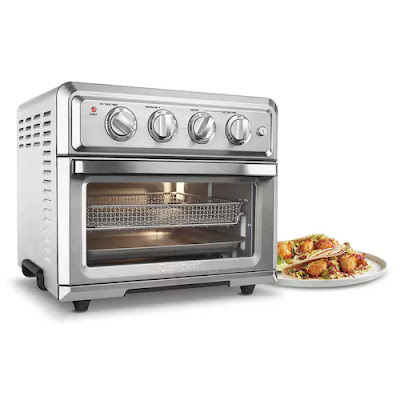 Right now over at Kohls.com you can score this highly rated Cuisinart Air Fryer Toaster Oven is on sale for just $199.99 (Retail $249.99). Even better, through July 22nd, all you Kohl's Cardholders can save 30% off your entire purchase when you use promo code BEACH30 and score FREE shipping on every order with promo code JUST4MVC at checkout. PLUS, everyone can save an additional $10 off a $50+ select home purchase when you use promo code HOME10 at checkout. Through July 22nd, use promo code GET15 at checkout and save 15% off any purchase. Through July 18th, get $10 in Kohl's Cash for every $50 you spend. Your Kohl's Cash will then be redeemable from July 19th through July 29th.